Harborview is the urban hospital in Seattle where the most serious regional cases are sent. 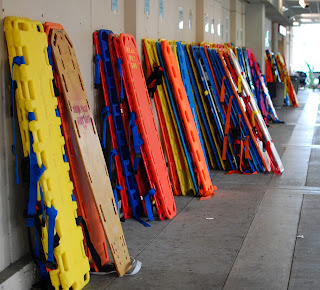 Here is their impressive collection of backboards from EMS departments around the state. 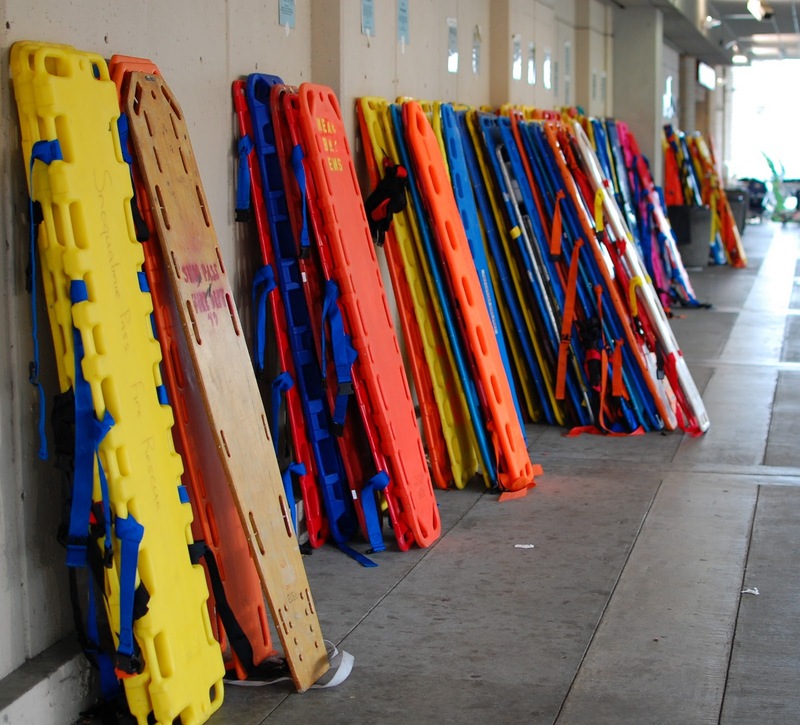 They cost around $200, and are owned by the emergency services that send patients here. I imagine that agencies like Snoqualmie Pass Fire Rescue (in the foreground) come by every once in a while to reclaim their equipment.